Do you find it difficult to fall asleep last night? Is lack of rest affecting your well-being? 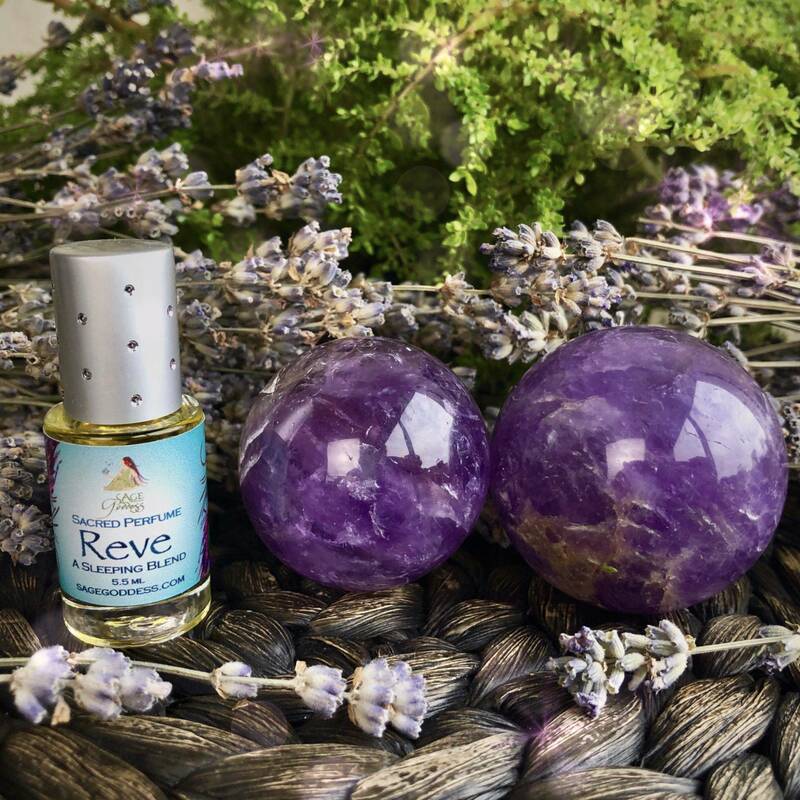 This Restful Sleep Duo, complete with a gorgeous, gemmy amethyst sphere and a bottle of my Reve Perfume, will help you achieve the regular, deep sleep you need to be your healthiest and happiest self. Having a good sleep schedule is one of the best ways to balance and protect your energy – and now, with this duo, it’ll be easier than ever! One (1) gemmy amethyst sphere. 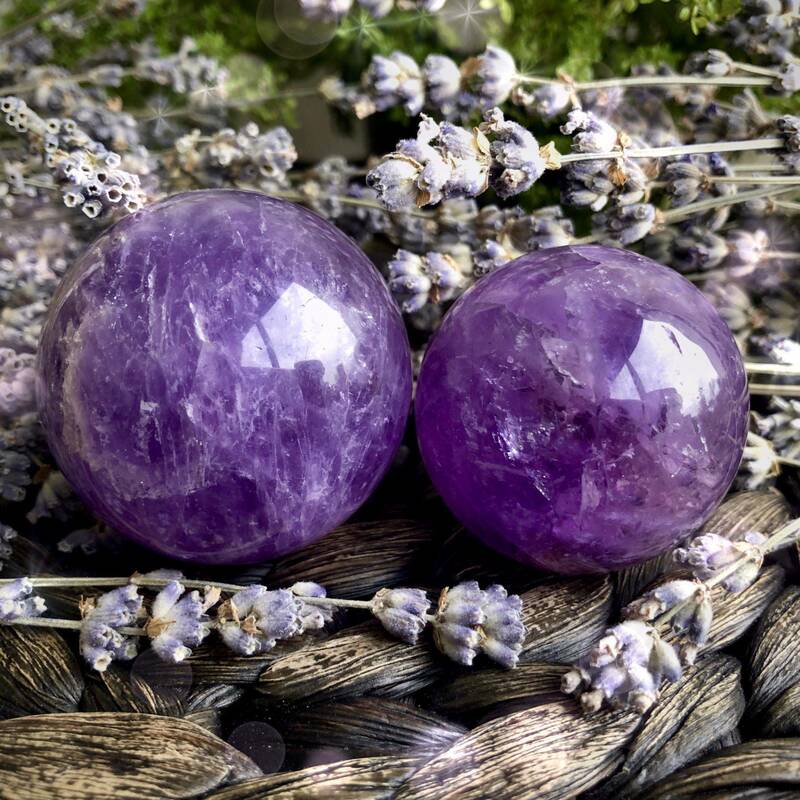 Amethyst resonates with both the Third Eye and Crown Chakras, and it exudes stabilizing and peaceful energy. 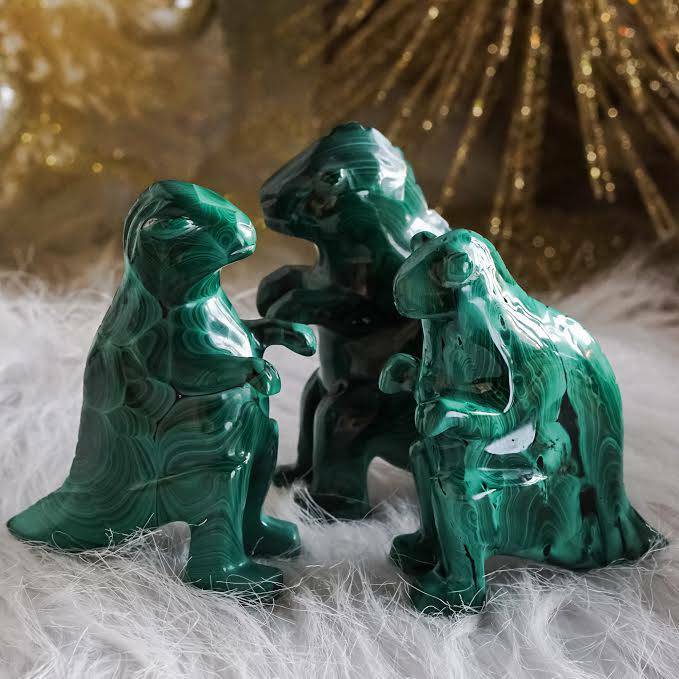 This stone is known to help you maintain equilibrium during stressful periods, prevent nightmares, and promote deep, restful sleep. 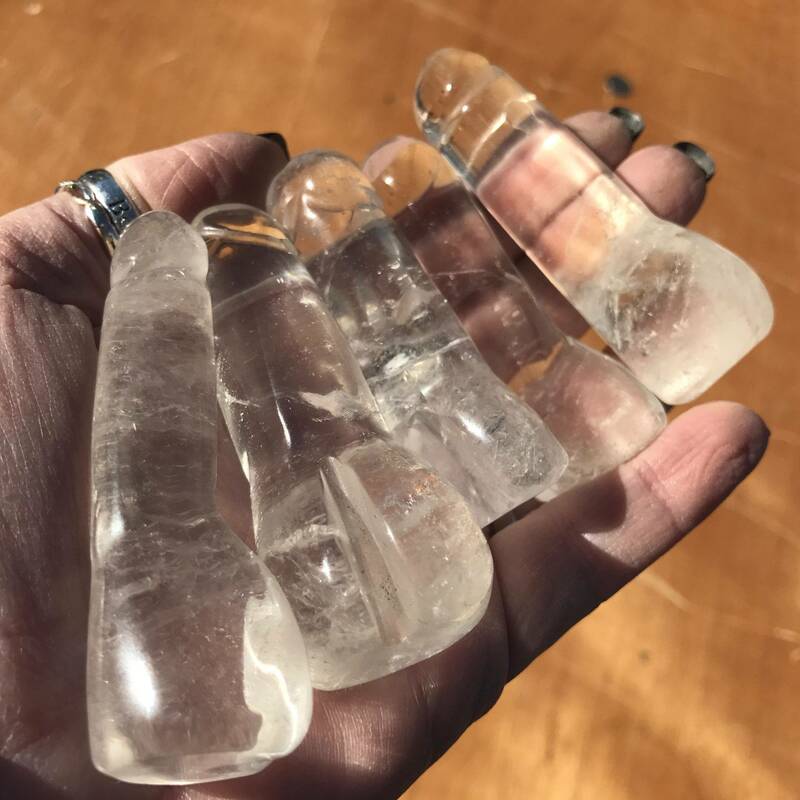 It’s also a powerful tool of Spirit connection and will connect you with the magic of realms beyond our own. Keep this sphere by your bed to lead your spirit into deep states of sleep and to open up to the messages that Spirit wishes to share with you in the dream world. Don’t forget a sphere stand to display your new treasure when not in use. One (1) 5.5 ml bottle of Reve Perfume. 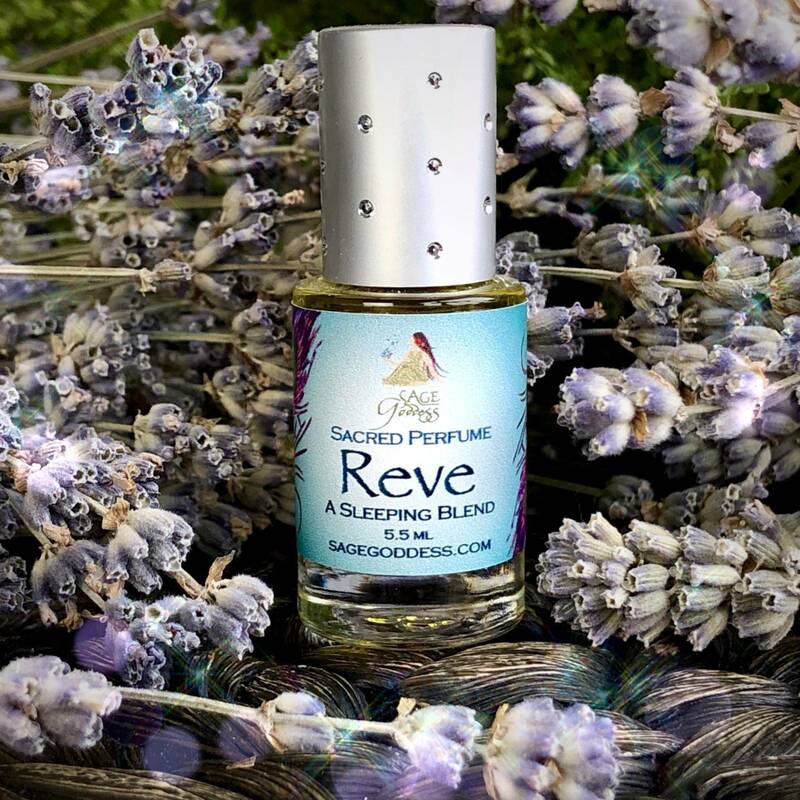 Reve means “dream” in French”, and this perfume was designed to encourage deep sleep. 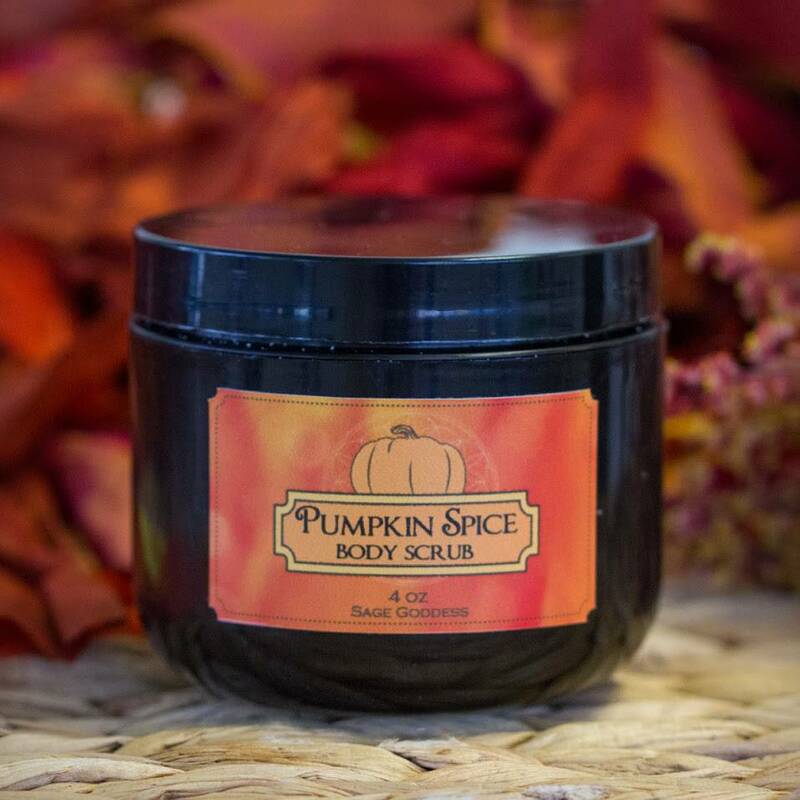 With pure and intoxicating notes of wild Provence lavender, petitgrain sur fleurs, spearmint, and palmarosa (all ingredients known to induce relaxation), this blend will help you achieve the rest you seek. I’ve also added pure white rose absolute, one of the most expensive essential oils available. Anoint yourself with this blend before bed to ease your spirit into the dream world, or wear it as your everyday fragrance to surround yourself in vibrations of tranquility and peace. This listing is for one (1) Restful Sleep Duo, as described above. 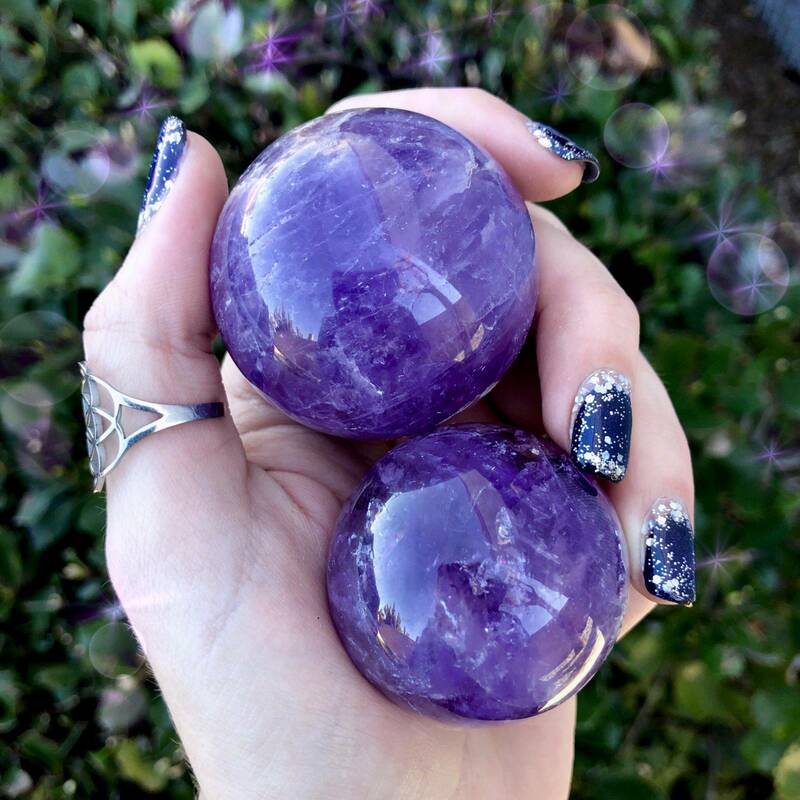 I have two sizes of amethyst spheres to offer you: Small (about 1-1.5”) and Medium (about 1.5-2”). Please select the size that calls to you from the drop-down menu above. Yours will arrive lovingly parceled along with a single leaf of white sage and a card describing the properties of the stone.